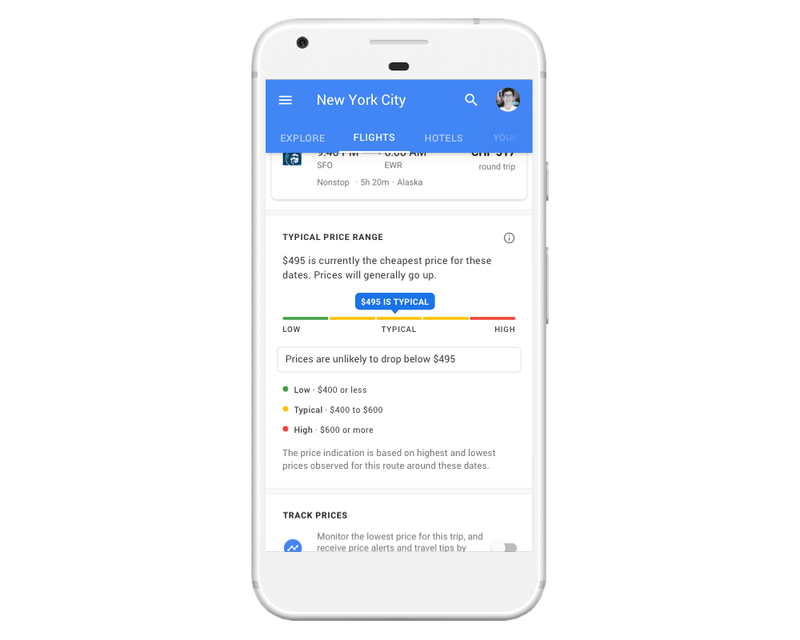 New cards in Search will serve even more information about an upcoming trip, especially if you've previously searched for the destination or have booked a hotel already. Flight suggestions, travel guides, weather reports, restaurant tips, and more will be served in a 'Continue planning' section right at the top of search results (above, left). Starting in October, previous searches for flights, hotels, and places will be saved and monitored in the 'Your Trips' section of the Trips app, also accessible in Google Flights or Hotels (above, right). You can also see this information by searching "My trips" on Google. When it comes to traveling home for Thanksgiving, Google is already able to tip you off when flight prices are cheapest. This is now being extended to the Holidays so you'll get tips about the best deals on Christmas and New Year flights, too. 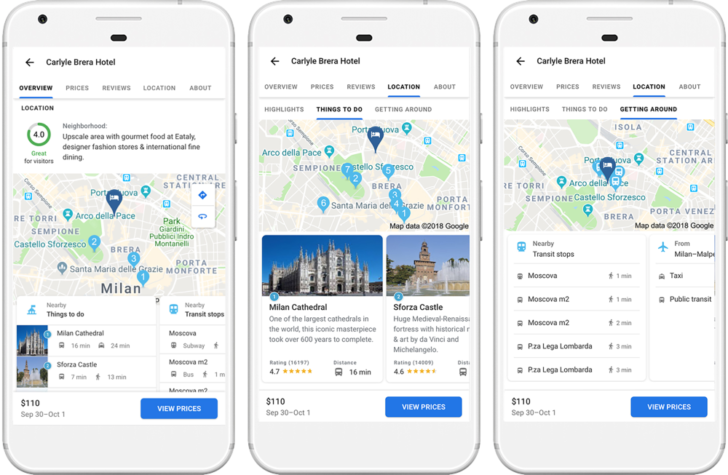 Finally, a new score is being added to hotel searches to help get the best location possible, taking into account things like the nearest bars, landmarks, public transport, and so on. You should start to see some of these useful new features in Google Search right away.